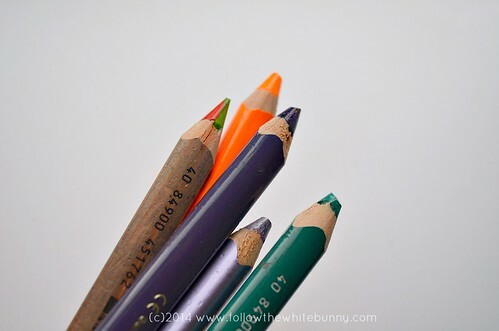 I love these Caran d'Ache Pablo Coloured Pencils. They are quite soft pencils and great for blending colours. 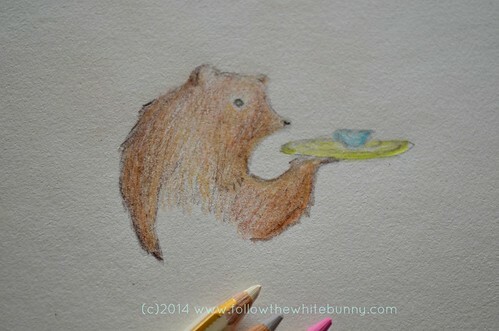 Perfect for drawing (quick) coloured sketches of sweet looking table waiting bears! I'm planning on buying a set of these and while I'm dreaming of the full set of 120 colours, I think I will have to settle for a smaller selection and add individual colours that I will use often. For kids I can recommend these coloured pencils by Lyra called Super Ferby. Sturdy pencils that have a great grip for little hands due to their triangular shape. 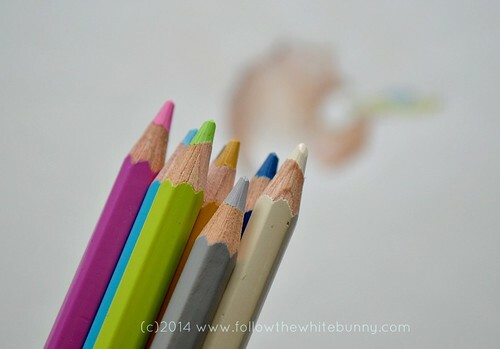 Lyra Ferby pencils come in a lovely range of colours and last a long, long time. I bought these a few at the time over the years as they are a little more expensive than regular coloured pencils but definitely worth it in my opinion. I have a box of Prismacolor colored pencils from when I was in art school that I've been wanting to pull out and play with. Although I think I've seen the CARAN d'ACHE at the craft store and I might pick up a small set to try!